Los Del Rio (Antonio Romero Monge and Rafael Ruiz Perdigones), the singers of the international hit Macarena, will be among those honored with the Lifetime Achievement Award by the Latin Recording Academy. The duo first formed in 1962 and had a number of flamenco pop hits in Spain during the 70's and 80's. In 1992, they wrote the song "Ma'dalena" while appearing in Venezuela. They released a rumba version in 1993 and recorded a total of six different versions of the song now called "Macarena" before the Bayside Boys made their own mix of the song. Released on August 15, 1995 in the U.S., it would take the record a year before it hit the top of the Billboard 100 where it stayed for fourteen weeks. It went on to become the biggest hit of 1996 and topped the charts in over 15 other countries around the world. Others receiving Lifetime Achievement Awards are Lucecita Benítez, João Bosco, Ilan Chester, Victor Heredia, Guadalupe Pineda, and Cuco Valoy while Jon Fausty and Lalo Schifrin will receive the Trustees Award. The Lifetime Achievement Award is presented to performers who have made unprecedented contributions of outstanding artistic significance to Latin music and the Latin community. The Trustees Award is given to individuals who have made significant contributions, other than performance, to Latin music during their careers. All the honorees are chosen by vote by the members of The Latin Recording Academy’s Board of Trustees. Lucecita Benítez began her career as a young Puerto Rican star, a protagonist of the Nueva Ola pop phenomenon. But her subsequent discovery of the socially conscious nueva trova movement and her elegant interpretation of classic boleros place Lucecita at the very heart of everything that is soulful in Latin music. International fame arrived in 1969 when Lucecita won the first prize in Mexico’s Festival de la Canción Latina with the song “Génesis.” The next year, she appeared on “The Ed Sullivan Show” and toured the United States extensively. Lush, soulful, and sophisticated, the songs of singer/songwriter and guitarist João Bosco are an essential part of the música popular brasileira (MPB) movement — the fusion of traditional formats with jazz, rock and funk that blossomed in Brazil in the ’60s and ’70s. An artist of seemingly unlimited imagination, Bosco is a Latin GRAMMY winner and has received eight Latin GRAMMY nominations. He continues touring internationally and recording to this day. Ilan Chester has transformed a deep mystical devotion and his fascination with many different sounds into a long-lasting career of staggering variety and depth. A multitalented singer/songwriter and musician, Chester grew up listening to Venezuelan folk, Afro-Caribbean dance formats, British progressive rock, and American R&B, all of which would play a part in his own music. He received a Latin GRAMMY for Best Folk Album for 2010’s Tesoros De La Música Venezolana. Born in the Buenos Aires neighborhood of Monserrat in 1947, Víctor Heredia enjoyed success early in his career when his composition “Para Cobrar Altura” was celebrated at the annual Cosquín Folk Festival in 1967. In 1986, he released his most ambitious work to date: Taki Ongoy, a concept album about the conquest of the Americas from the point of view of the vanquished indigenous people. Now an established master of Latin song, Heredia is celebrated as a living legend. Los Del Río’s Antonio Romero Monge and Rafael Ruiz Perdigones were teenagers when they joined forces to appear on a radio show in their native Sevilla, Spain. 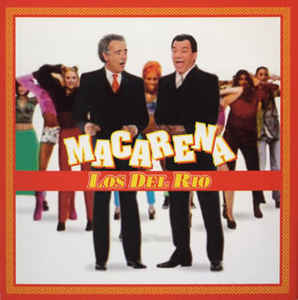 The year was 1962, and the two friends decided to perform under the name Los Del Río, launching a career of flamenco pop music in Spain during the ’70s and ’80s, they boasted the same infectious sense of joy and warm sonics that would later define their 1993 global hit “Macarena.” “Macarena” went on to sell millions of copies worldwide, staying on top of the Billboard Hot 100 for 14 consecutive weeks and igniting a dance craze that is still fondly remembered in dance clubs around the globe. Far from being one-hit wonders, Los Del Río have spent decades honing a distinctive sound — life affirming, irrepressibly melodic — forever in touch with their Spanish roots. Few artists in the vast landscape of Mexican music have managed the seemingly impossible task of switching effortlessly between genres, formats, and languages, and selling millions of records while maintaining a distinct identity. Guadalupe Pineda is one of them, and her dazzling voice is at the heart of her one-of-a-kind success story. Pineda recorded 30 albums devoted to mariachi, bolero, operatic arias — Mi Corazón Se Abre A Tu Voz/Arias de Ópera, 2002, and French pop classics — Francia Con Sabor Latino, 2008. During her career she has shared the stage with a diverse group of singers such as Plácido Domingo, Natalia Lafourcade, and Mercedes Sosa. Pineda teamed up with fellow Latin singers Eugenia León and Tania Libertad for a series of sold-out shows in 2016, a collaboration that led to a Best Long Form Music Video Latin GRAMMY nomination. Pineda continues to record, with a new album release scheduled for 2018. One listen to “Juliana” — the transcendental hit by Cuco Valoy — is enough to illustrate the place of honor that this Dominican singer/songwriter occupies within the history of Afro-Caribbean music. “Juliana” is a prime example of classic salsa at its best, complete with electrifying brass riffs, clave-infused percussion and a swinging piano line. Most notably, Valoy can easily switch from authentic salsa grooves to merengue beats and rootsy “cha cha chá” — making him one of the most versatile performers in tropical music. A true master of Afro-Caribbean rhythms, Valoy continues to tour and receive recognition and awards around the world.